You are here: Home / Haircare / Do You Really Know How to Shampoo & Condition Your Hair? Do You Really Know How to Shampoo & Condition Your Hair? Experts say that many hair problems occur because people don’t know how to wash their hair properly. An estimated one in three people don’t use a shower attachment to wet and rinse their hair, relying instead on dunking it under the bathwater or pouring over a few jugs of water. To work effectively, most modern haircare formulations need plenty of water to remove the dirt and release the conditioning agents. Advice differs between daily and twice a week. The sensible solution is that if it’s looking good, don’t change your routine. If it isn’t and you are washing it every three days or so, try washing it daily in a gentle shampoo and always follow with a suitable conditioner. If you wash it every day and are disappointed, first of all try different products, then less frequent washing, starting with alternate days. Many people believe their hair gets used to one product and will benefit from frequent changes. This is, in fact, true, says trichologist and biochemist Dr Hugh Rushton (is a pioneer in the treatment of hair loss)– particularly with some of the newer polymer volumising products. So do switch every once and a while. Wet hair in the warmest water your scalp can stand. Run your fingers threw your hair to allow the water to touch your scalp. Apply about a teaspoon of shampoo – less for short hair, more for really long. 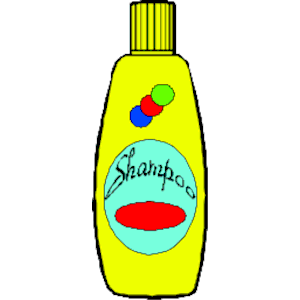 Using more shampoo than you need won’t result in cleaner hair. Always apply from the palm of your hand, so you can judge the amount. In soft water areas, or if you have a water softener, you won’t need so much. Use the pads of your fingers, not your nails, to massage shampoo into the scalp, then work through to the ends of the hair – massaging, rather than rubbing, to avoid tangles. Repeat the whole process if you don’t wash it daily. Squeeze out the extra moisture with your hands before you apply conditioner. Massage conditioner onto your hair (especially the ends, not your scalp) and leave on for the recommended time. Comb conditioner threw with a wide tooth comb. Blot hair dry with a towel – don’t rub or wring hair as it is at its weakest when wet. Use a second towel to wrap around your hair; leave it on for a few minutes to absorb excess moisture. « Mie-nai osharé – Unseen or Hidden Beauty!